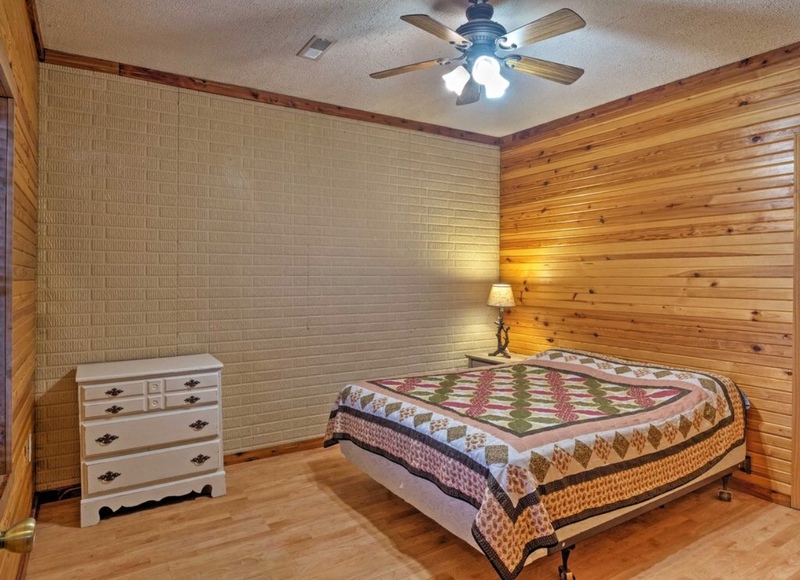 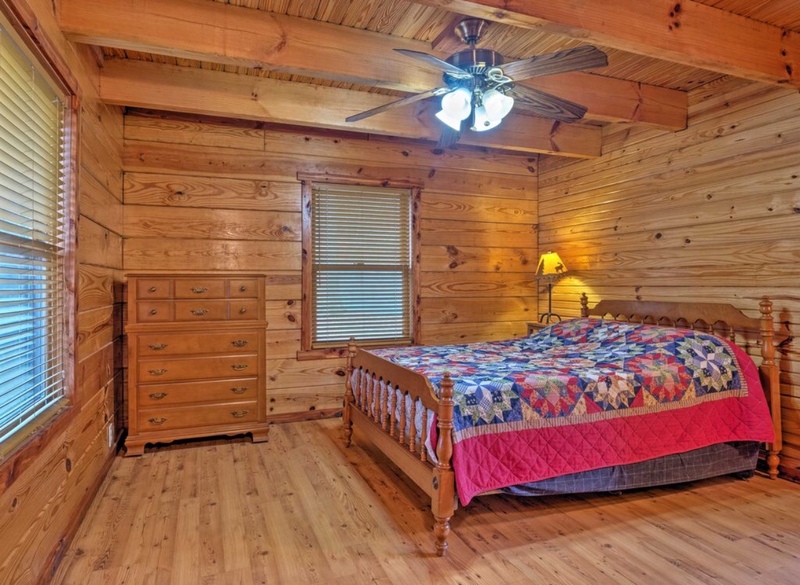 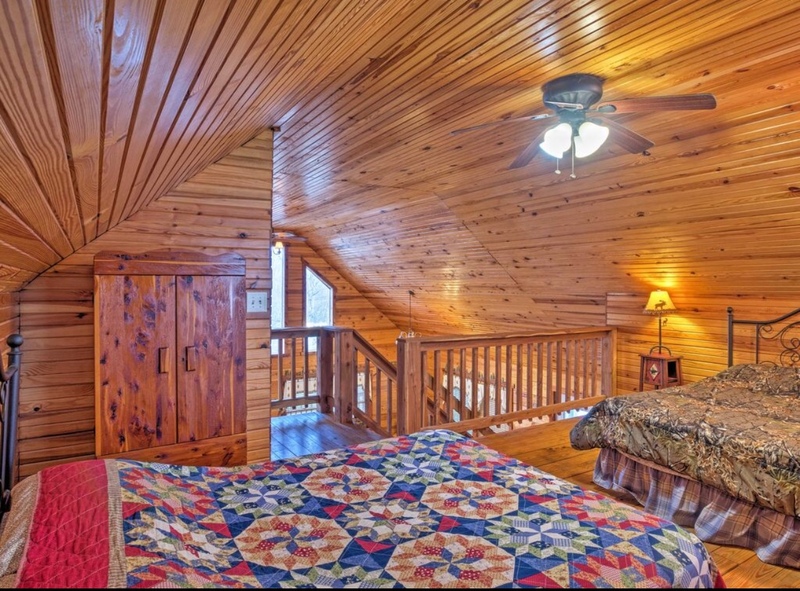 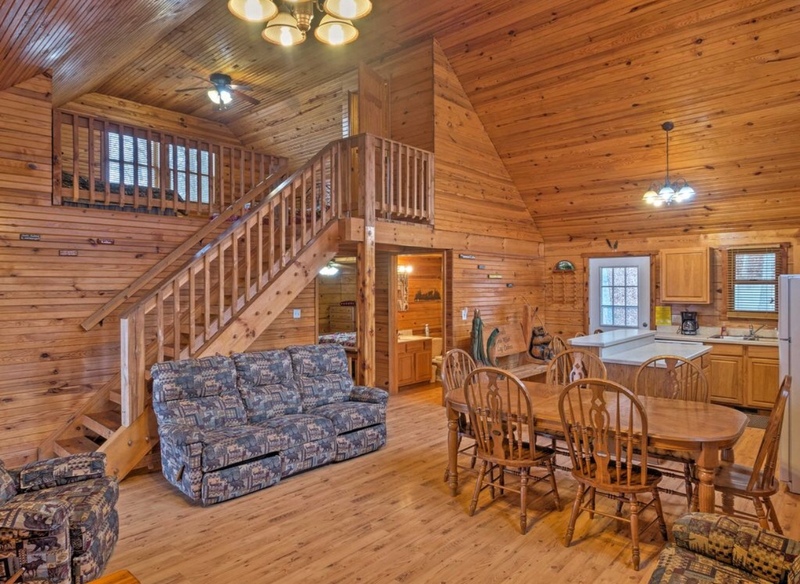 This cabin features southern yellow pine logs, tongue and groove pine interior walls, cathedral ceilings and red cedar trim throughout. 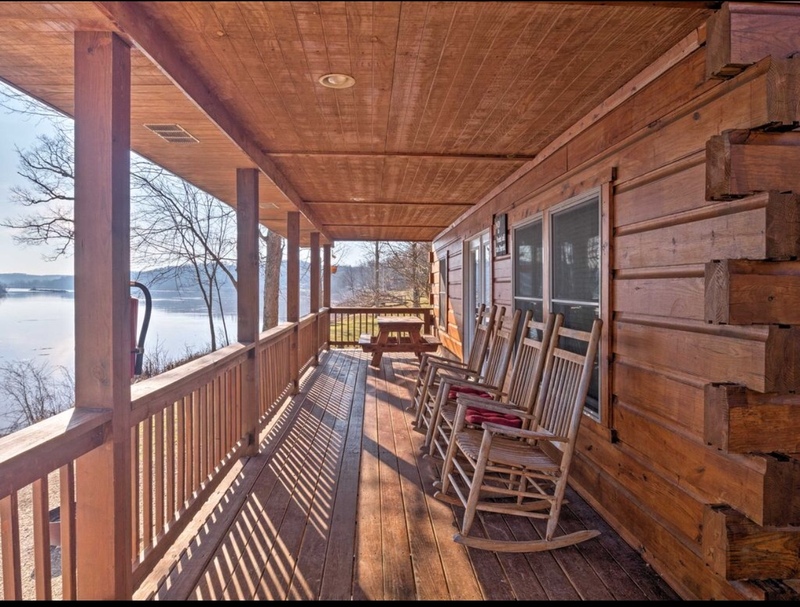 It’s accented by open beam staircases with red cedar railing, a gas fireplace, pool table and a cedar porch swing and picnic table on the deck. 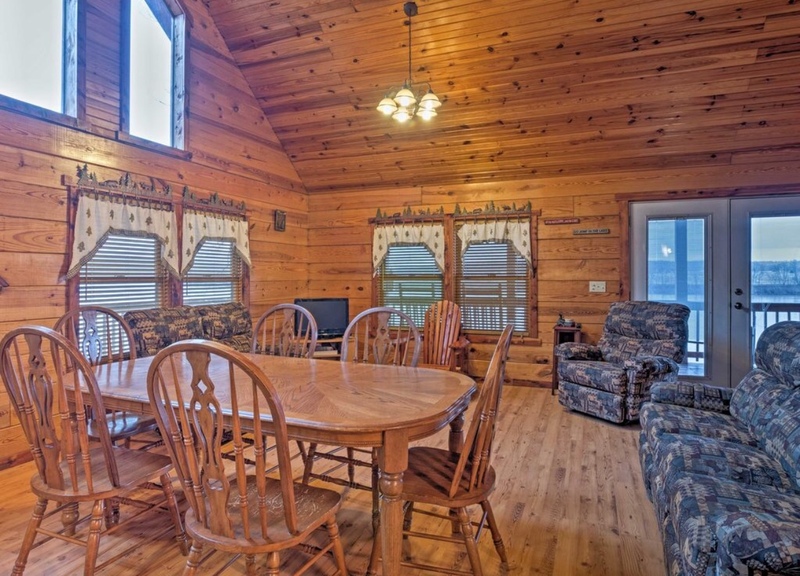 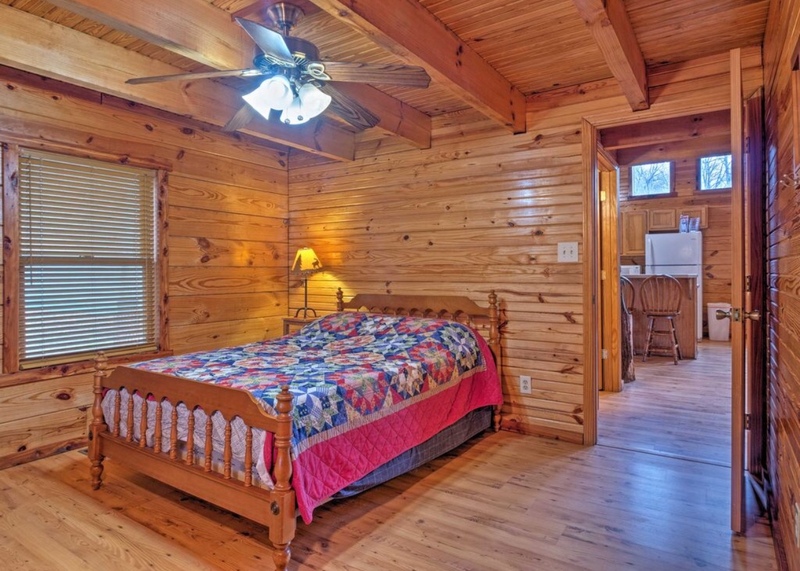 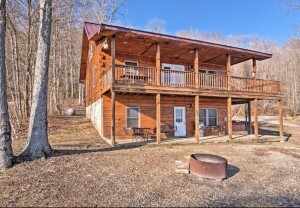 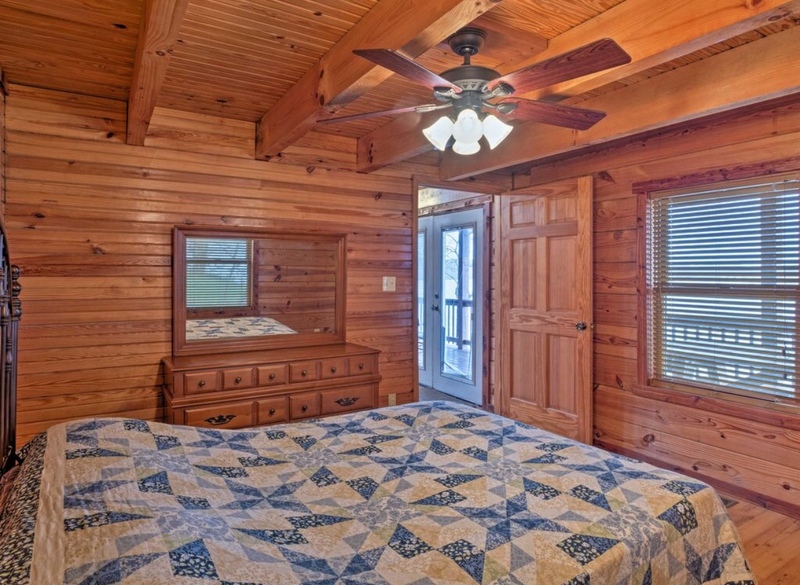 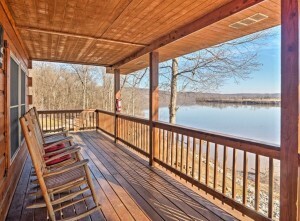 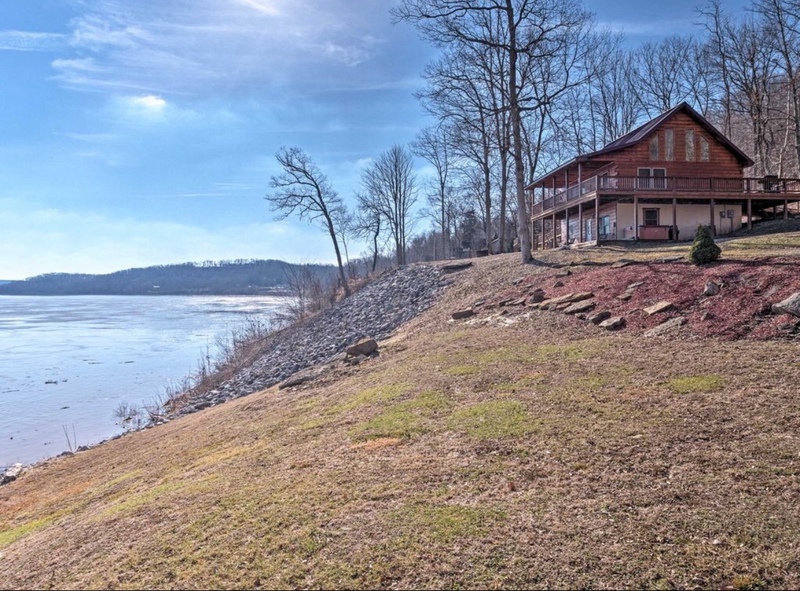 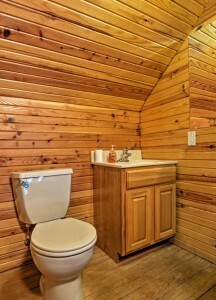 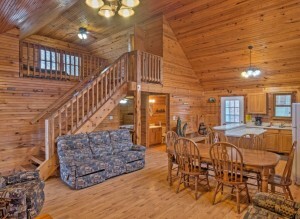 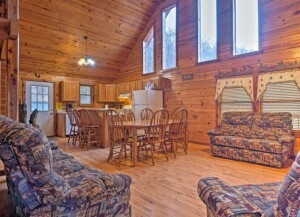 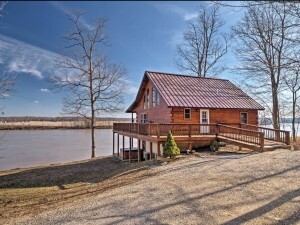 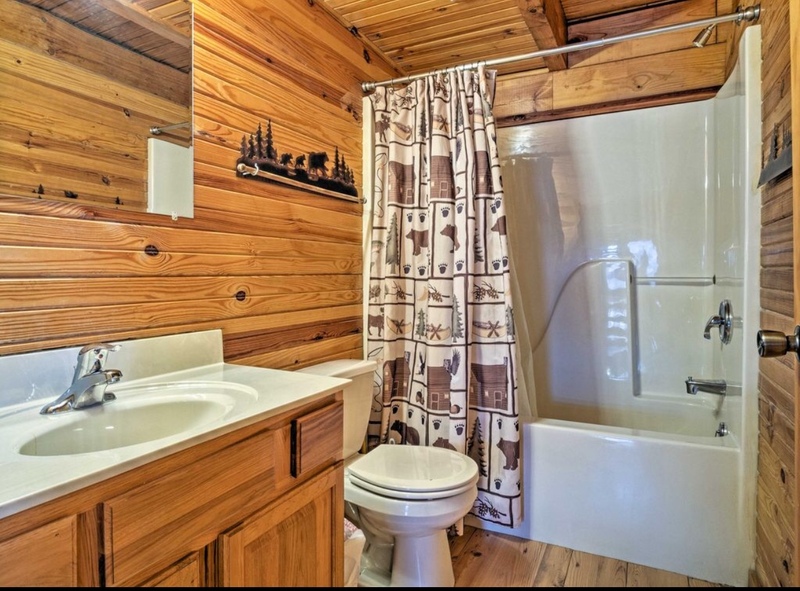 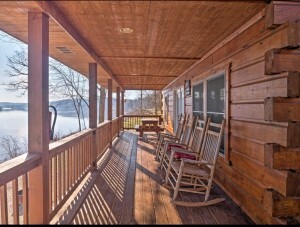 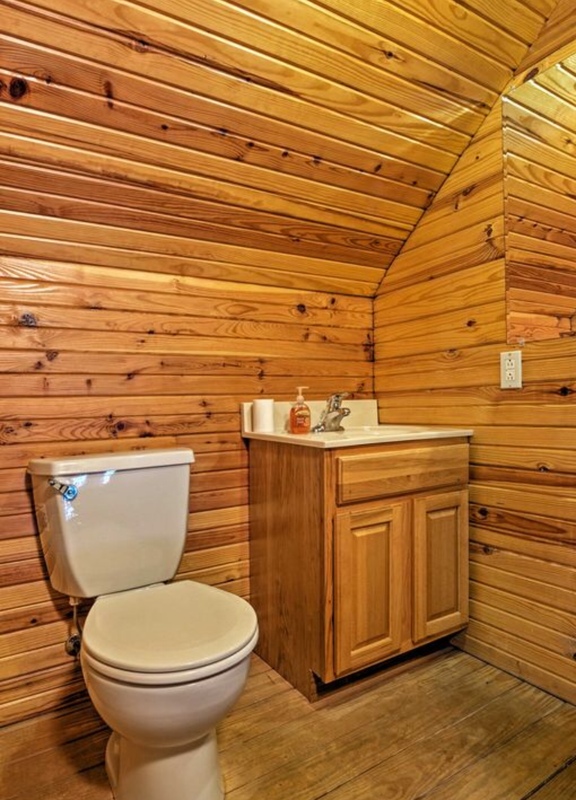 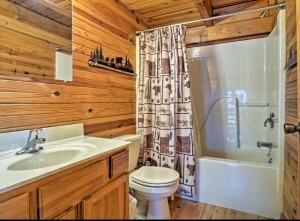 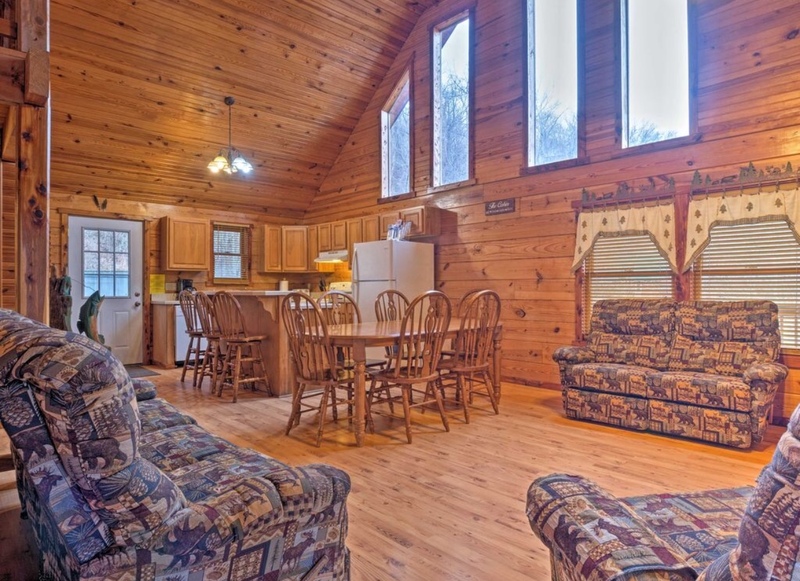 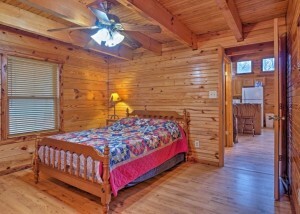 It sleeps 14 comfortably with 2.5 baths and is wheelchair accessible. 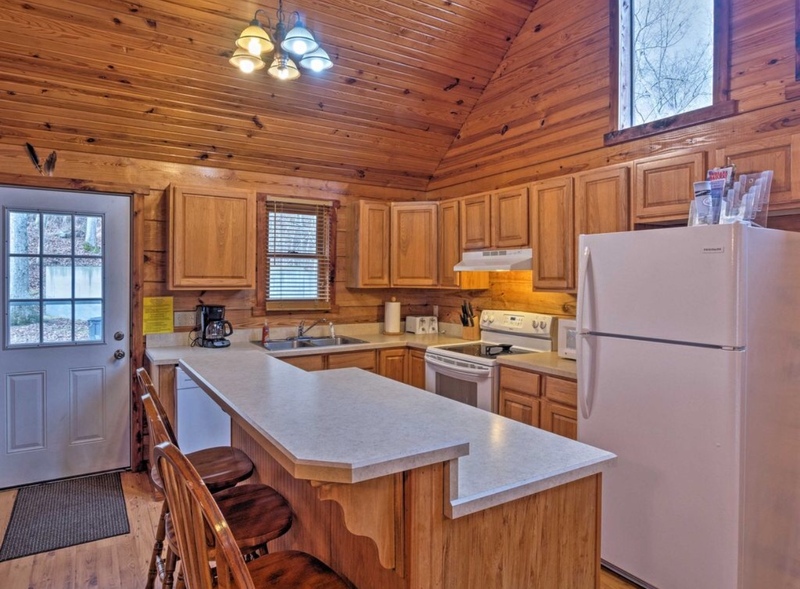 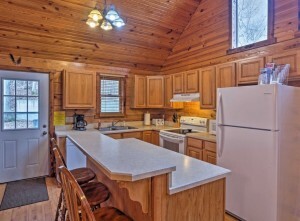 All large and small appliances are available for your use along with a gas grill on the covered upper deck. 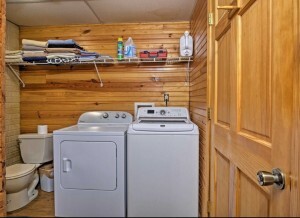 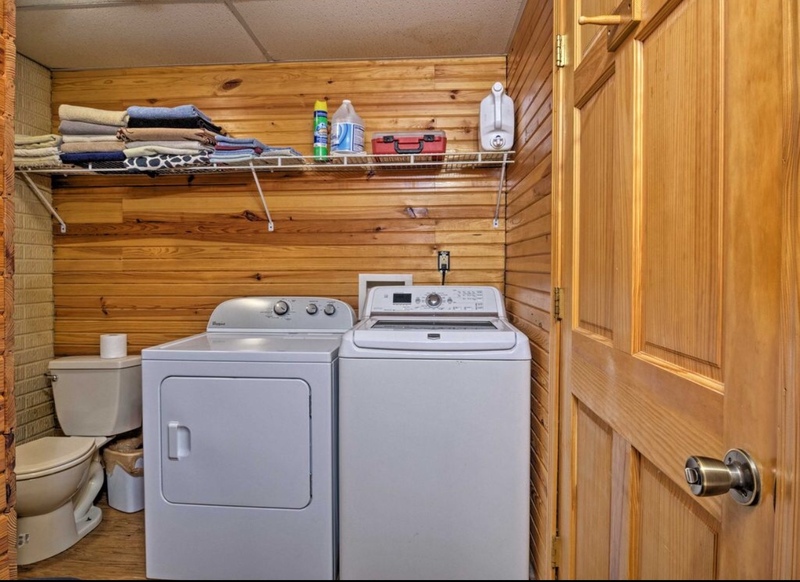 A washer and dryer is also available. 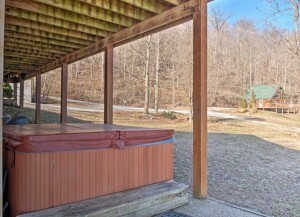 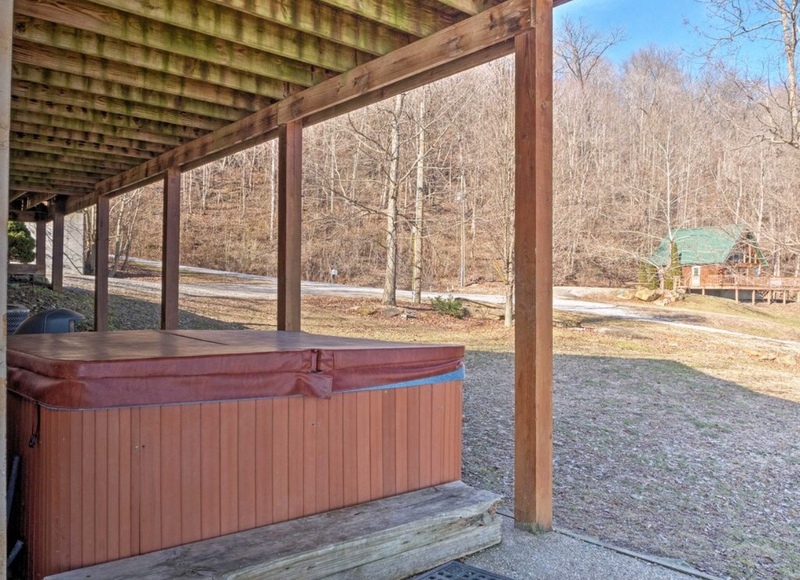 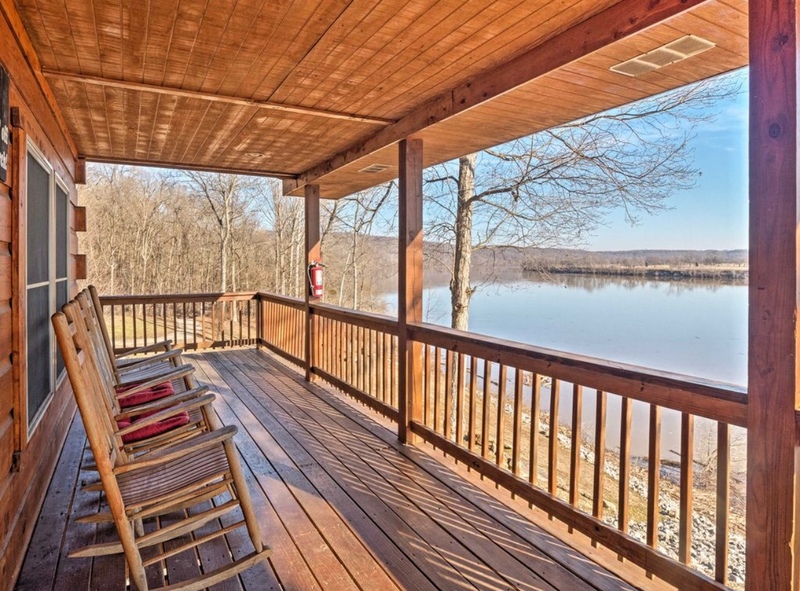 For those relaxing times there is a 6-8 person hot tub located on the covered lower deck and rocking chairs on the upper deck. 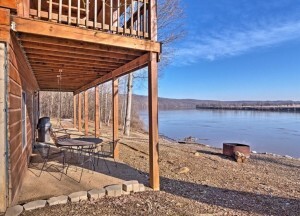 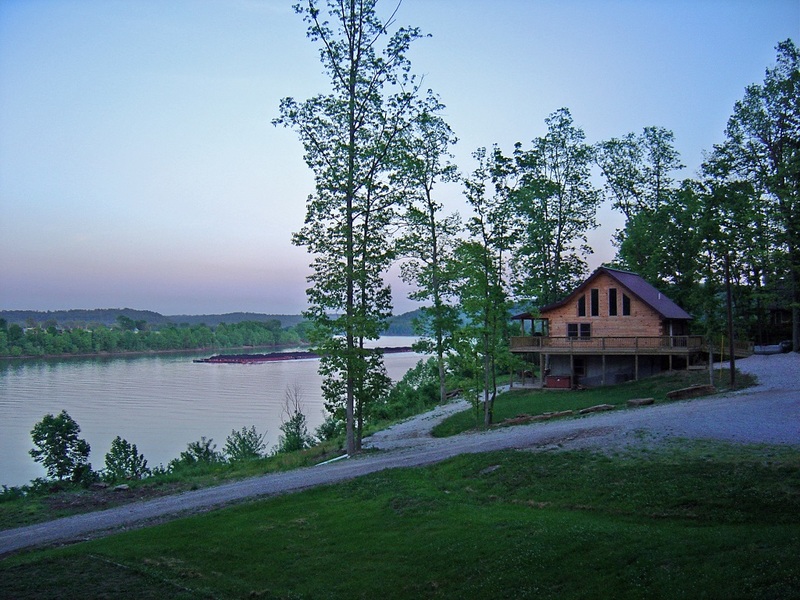 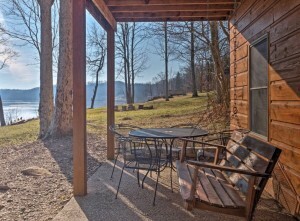 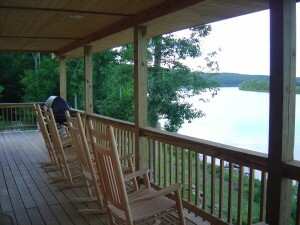 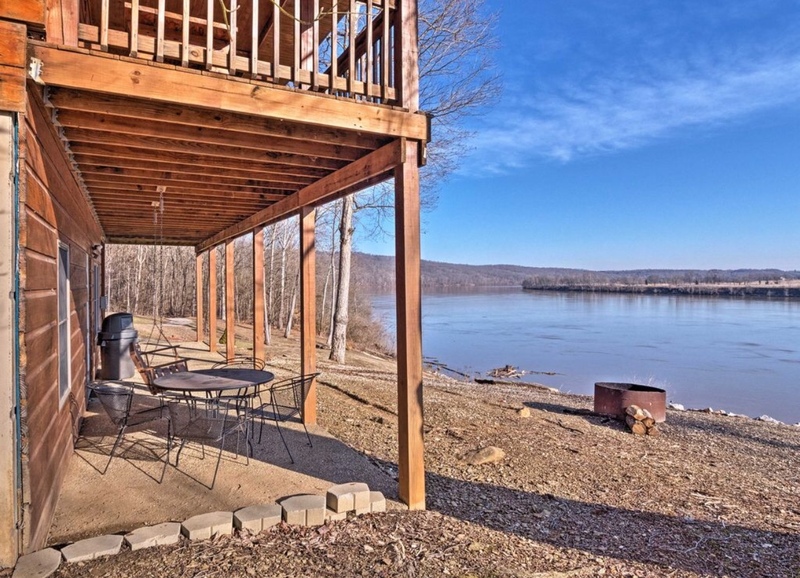 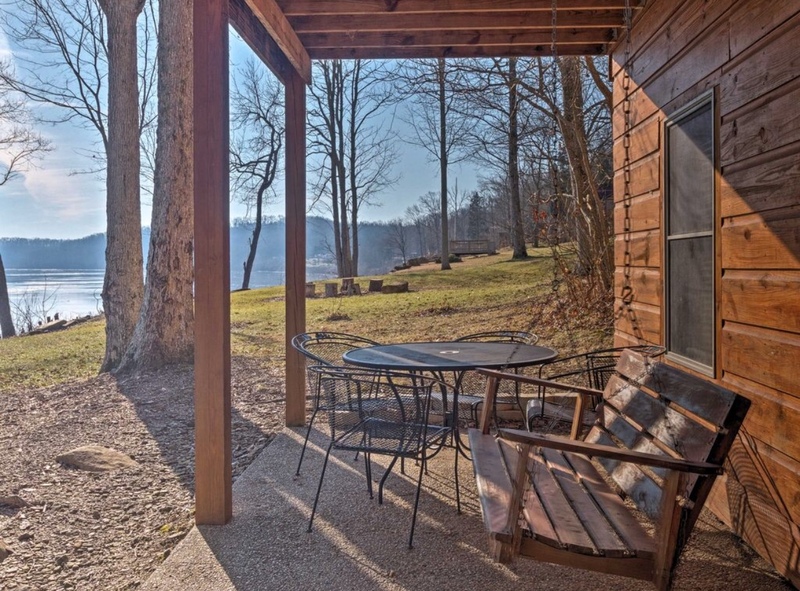 There is a fire pit outside to enjoy and a dock is on the water for fishing or boating. 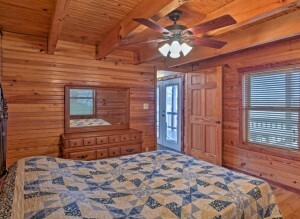 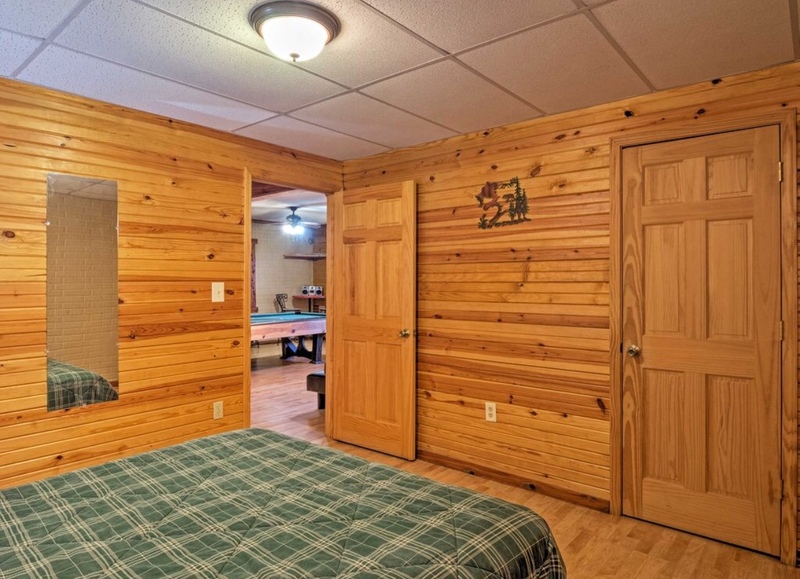 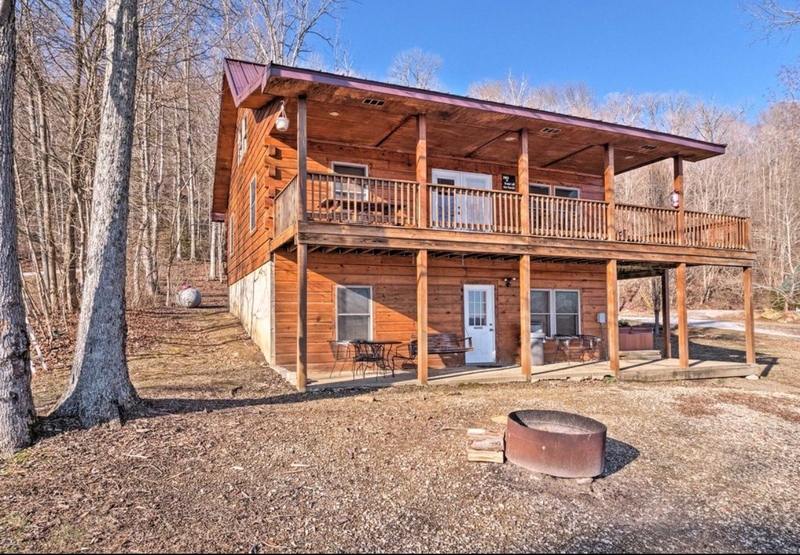 We ask for a two (2) night minimum at all times on both cabins. 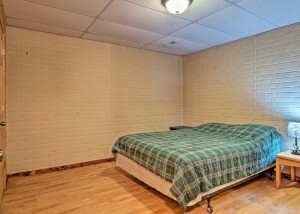 A one night stay is available with an extra cleaning charge. Great place for weddings, business meetings, conferences etc.. Call (812) 457-9501 for rates! We operate on Central Standard Time. 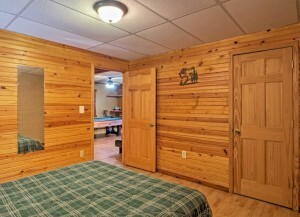 Absolutely NO SMOKING is allowed in our cabins.